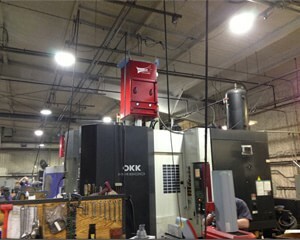 Anyone who produces coolant mist and smoke knows the problems that arise if you don't effectively capture and filter it. 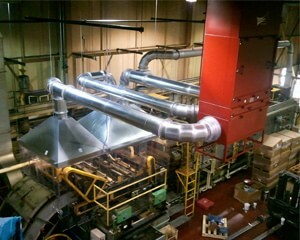 From oil puddles on machinery and floors to the blue haze across the plant, oil mist and smoke become a maintenance issue. Oil residue is costly to clean up, may cause problems with equipment that are costly to repair. 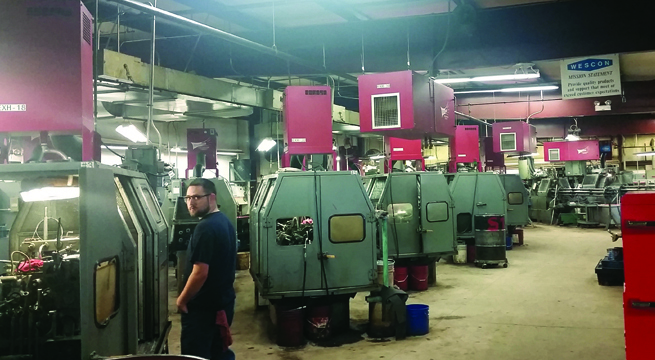 From individual machine mounted units like our OM550DD or MM800 to large central systems we can offer filtration options that will solve any mist problems found in the industry and in most cases, return costly cutting fluid to your machinery. If you are tired of the maintenance headaches and costs involved with frequent change-out of bag filters, MISTMAX® is something you should consider. Heavy-duty cabinet equipped with MISTMAX®, patented 8-layer, high efficiency, long-life cartridge filter technology with capabilities of 800 - 3600 CFM, rivals any competitive unit on the market today. 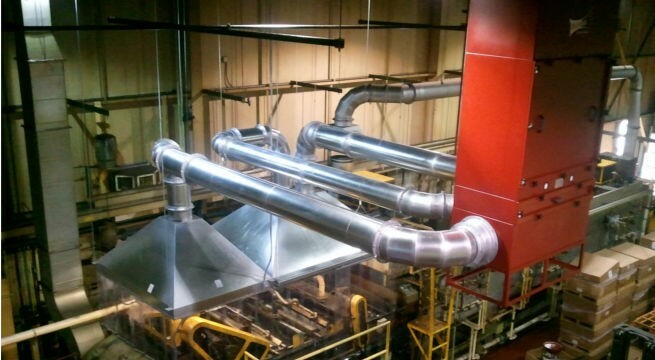 Standard options include floor stands, two minihelic filter gauges, (prefilter section and main filter section), standard 2" mesh / 2" baffle prefilter combination and upblast exhaust. 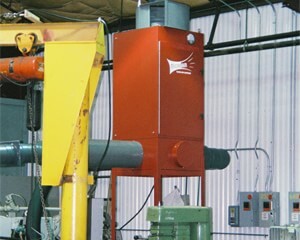 Micro Air OM Style Mist collectors provide traditional three stage filtration, pre-filter, scrim lined oil mist bag filtration, and HEPA Afterfilter options. 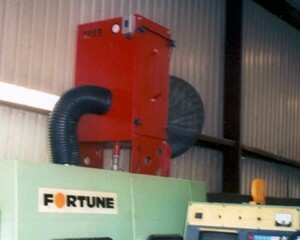 MM800 - machine mounted mist collector. 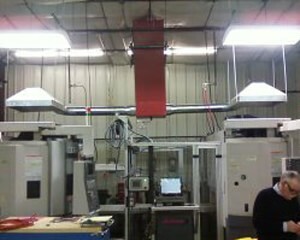 MM2400 Ceiling hung, ducted to hoods over machining center. 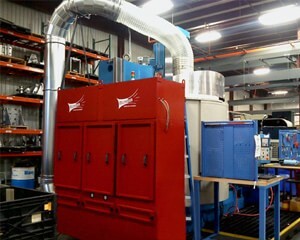 Machine-mounted Model OM550DD cleans up to 600 cfm of oil-mist laden air. It includes built-in oil deflector, angle inlet plenum for coolant drainage, and slotted rails for easy filter installation. 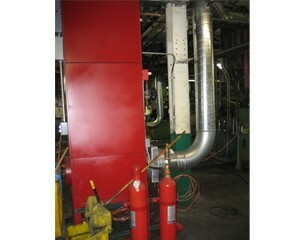 Heavy-duty cabinet withstands abuse, and small size allows unit to fit almost anywhere. Floor stand, HEPA filters, minihelic gauge, and Mist X filter are optional. Micro Air® OM3510 is the ideal unit for budget-conscious oil mist or odor applications. 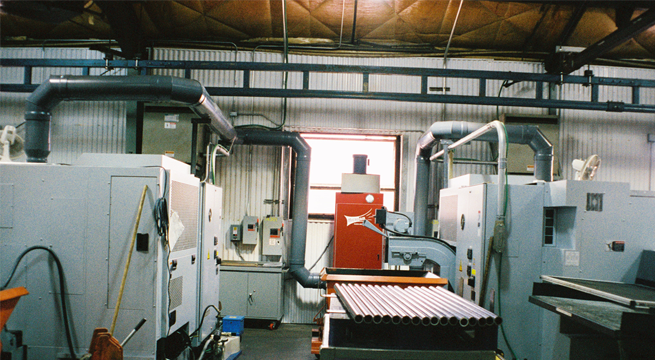 This versatile unit can handle individual or multiple machine applications. 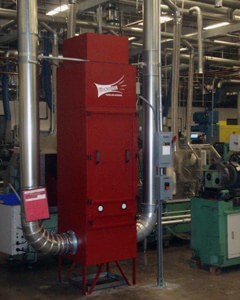 Micro Air® OM6000DD, direct drive oil mist collector ducted to machining process.